When the clock pushes ahead by one hour, you'll be surprised how much this can affect your sleep pattern. 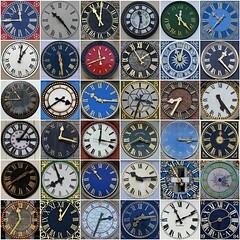 While we spring forward and fall behind, you really are not gaining or losing an hour in your day. It's much like travelling to a different time zone. Your whole system can be thrown out of whack and your body will need help adjusting. While the first step to a good night's sleep is finding the right sleep solution at mattress stores, Homewood, AL, residents can also benefit from a few tips and tricks. According to a new study, a brisk walk or run can help put your head in the right place to get ready for sleep. Consider taking a quick 30-minute walk around the block a couple of hours before your normal bedtime. This should help you restart your sleep schedule. When your schedule is out of whack, sometimes a low dosage of melatonin can help you readjust. Melatonin regulates cycles of sleep, and you can trick the body into thinking it is time for bed. You can also get an over-the-counter supplement that boosts melatonin levels in the brain. The most common mistakes we make involve not keeping to our other regularly scheduled habits like waking up at the same time, eating at the same general times, exercising, and more. If you usually eat dinner at 7pm, keep your schedule! Adjust your dinner with the time change and then slowly move it back to 7pm. This will help make the transition smoother and easier.